We provide the stamps used for personal use as well as by Accounting, Human Resources, Shipping, and Customer Service departments! 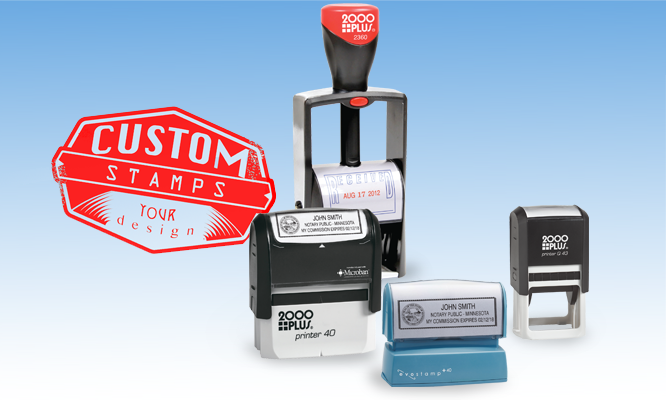 Self-inking, Pre-inked Stamps, and Daters are available in 48 hours. Perfect for return address, bank endorsement, signature, notary, shipping, inventory, loyalty programs, and more!